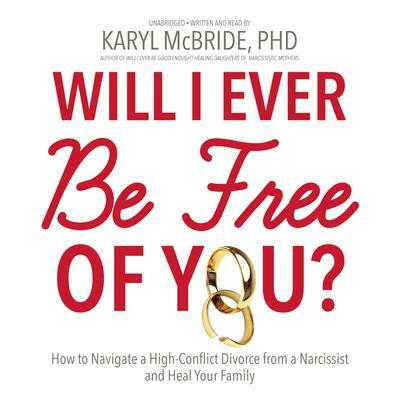 Written for those considering or already going through divorce, as well as the professionals working with them, Will I Ever Be Free of You? has three parts: “Recognizing the Problem,” “Breaking Free,” and “Healing from the Debilitating Impact of Narcissistic Relationships.” You begin by learning exactly what narcissism is, how to identify it, and how it affects relationships, then how to begin and carry on through a divorce and make the best decisions for you and your children. Dr. McBride lays out a road map of trauma recovery for the whole family, offering a step-by-step program for recognizing and healing from the particular emotional damage that narcissism causes. 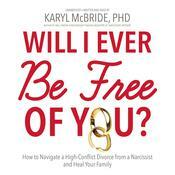 Dr. Karyl McBride, PhD, is the author of Will I Ever Be Good Enough? and has spent many years researching the insidious disorder of narcissism and how it impacts adults and children alike. She is a licensed marriage and family therapist with more than thirty years of experience in public and private practice.